When I chose to teach English in Thailand, I had very little idea what I was jumping into. Like most, I had never been to Asia, and no place was further away from my hometown. But what I did have was a lot of was city experience. I went to college near Philadelphia, grew up near Baltimore, worked in New York City, did summer camps in Washington D.C., and traveled to all of these cities and others more times than I can remember. 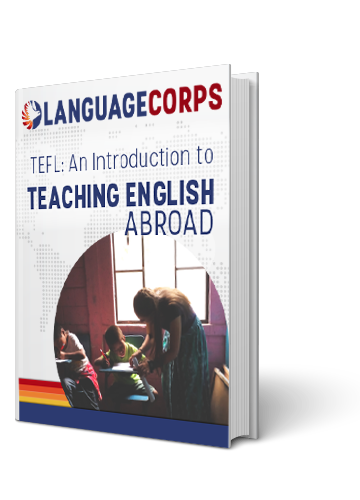 So when I set foot inside of Bangkok at the very start of February 2014 after getting my TESOL certification with LanguageCorps, the city felt like something I already knew. Sure, not all the signs are in English, the BTS and MRT lines are far smaller than anything in New York or even in Philadelphia. But it was, still, at heart, a big bustling mess of people trying to get to work, to school, to their homes, their friend’s houses. At that, Bangkok was no different than anywhere else. At that time, I didn’t hit me that feeling so at home in a large city was something strange. My roommates and I got used to Bangkok life quickly – we had found a great apartment near the On Nut BTS stop with a lively night market for dinner and a fresh market for lunch, a TESCO and a Big C, not to mention tons of street vendors for snacks and a perfect morning coffee place. We spent our time early on applying for positions, using the BTS line to take us to our interviews and to visit language schools. When we weren’t looking for work, me and my friends from LanguageCorps would go site seeing, taking in everything Bangkok had to offer from temples to museums to restaurants. All it took to find any thing to do was a quick search on the net and we were ready to go. A surprise about living in Bangkok was how cheap cost of living is from an American standpoint. A delicious Thai meal from the local street vendor never costs more than 50 baht (about $1.65) and snacks from the nearby 7-11 or a bag of pre-cut fruit was 20 baht or less (under $.68). It never felt like we were breaking the bank to live a decent lifestyle and keep our beautiful apartment. While touristy parts of Bangkok were more expensive, the On Nut area I lived in was very residential, thus had better prices. If you are reading this because you are thinking about teaching English in Bangkok, I cannot recommend this area more. Bangkok was a natural choice for me because not only am I very used to city life, but because there are so many job opportunities for English teachers in Bangkok. Language schools are advertised at every corner, and there are private and international schools in every neighborhood. When I secured my first job at a language school, things only got better for me. Once I had my job, I met many other expats – some who were like myself, young men and women looking for a new lifestyle, and some who have been living in Thailand for five, ten years, and had fully settled down to live their lives in Thailand. I started making friends, then meeting their friends, and before I knew it I had a full collection of good friends all around me. We would go to the movies at Terminal 21 on nights we didn’t have to work, we would go to restaurants of every kind of cuisine, or simply spend time at one another’s apartments and talk and drink. All of us could bond about our crazy stories of getting used to Thai culture, experiencing the different holidays, and even getting some chances to travel together on weekends when we had the chance. Honestly, I couldn’t have hoped for anything better – Bangkok turned into more of a home and comfort than I imagined. In October, I met another LanguageCorps teacher who had just moved to Bangkok. We bonded quickly, and eventually I even helped her find a job at the same language school I was working at. She lived close to me, so we ended up becoming fast friends. However, as time passed, it was clear she was having a hard time with adjusting to life in Bangkok. At first, I couldn’t possibly fathom why. Bangkok is a big city, and it has everything one could want if you’re willing to do the research to find it. I knew people who had joined expat sports teams, musical groups, even volunteer organizations. Yet despite all the travel and things she was doing with her free time, she still didn’t seem to like life in Bangkok. It wasn’t until she told me more about herself that figured out why. She came from a small town in New York, had lived there all her life, and had only been to a big city a few times in her life. She had never used public transportation, and never had to find a place to live with so many options and different areas, she never really had to go too far to meet new people. She never had to worry about stray dogs or getting to a train or bus on time to get where she had to go. Maybe she would’ve been happier in a small town, but as it was, she felt like going home after only three months. It was disappointing, but things happen, and we need to place our own happiness first. No one moves to a new country to teach English if they want things in their lives to stay the same. But if I can give one piece of advice to everyone out there, make sure you know how much change you’re comfortable with at once. For me, Bangkok was exactly what I needed. Living in a smaller village, or in the mountains, or on the beach, it would’ve been too quiet. I would get bored, and probably wouldn’t have made nearly as many friends as I did in Bangkok. But for my friend, she would’ve been happier living near the beach, in a smaller town where she could feel comfortable, because she would only have to learn Thai culture and not Thai culture and city culture. No matter what your goal is with your work and your move, just make sure you’re happy and comfortable where you’re living.